Shopping for a new Tesla Model 3? You might not need the Long Range model after all. Before you decide, take a look at the map for Tesla’s Supercharger network—which is growing rapidly and offers far more locations (and more convenient charging) than other vehicles using the CCS or CHAdeMO standards. If we were gauging cars by their level of hype, the Tesla Model 3—not some exclusive supercar—might as well be the car of the decade. From the time that Tesla’s CEO Elon Musk revealed this compact sedan in 2016, it’s put Tesla on a new trajectory—and opened up the possibility of an electric car to many Americans who wouldn’t have considered them before. In the end, more than 450,000 advance deposits rolled in for the Model 3. Some of those people were holding out for the $35,000 entry-level model, which Tesla said would have a range of 220 miles. That car is now open to orders as promised. Today’s Model 3 lineup includes six models: the Standard Range, Standard Range Plus, Mid Range, Long Range, Dual Motor Long Range, and Dual Motor Long Range Performance. Is the car as revolutionary as the hype suggests? Well, it’s not the most driving range you can get for the least money, but it’s more in many ways. It’s a sport sedan, about the size of the BMW 3-Series, with a body made of steel and aluminum, and a big pack of Panasonic cylindrical cells under the passenger floor. Although there’s no engine under the hood, it maintains the near-perfect 50/50-weight distribution of the benchmark BMW. The Model 3 also marks the emergence of the car as a personal device, and completely gets rid of some things like keyfobs and ignition switches that without Tesla, we might be stuck with for a lot longer. Depending on your expectations—and your ability to see touchscreens as the solution to everything—the entire interface aspect of the Model 3 will either feel refreshingly different or frustrating and foreign. A 15-inch horizontally oriented touchscreen governs everything about the Model 3 cabin experience. From changing core drive settings to adjusting the side mirrors or the climate-control vents, it’s all on the touchscreen. Buying the Tesla Model 3 is in itself a unique experience—as is shopping for it, if you can even call it that. If you’ve never had a proper test drive, Tesla has a network of stores, but it has just announced that it plans to move all sales online. Tesla will extend its return period for the vehicle from its normal one day out to seven days or 1,000 miles. The 2019 Tesla Model 3 is a sleek, good-looking sedan on the outside, but its radically different interior pushes cabin and interface design into new territory. Electric-car styling for fully electric cars like the Tesla Model 3 can be geeky and attention-getting in all the wrong ways, to the degree that making the green choice can turn you into a fashion victim—or fashion you as unintentionally frumpy. Part of the appeal in Tesla’s larger Model S sedan was rooted in its design, and how it avoided all those connotations. It was a very attractive luxury sport-sedan shape, electric car or not. On the outside, the profile of the Model 3 isn’t as striking as that of the original Model S, and the proportions may not be quite as pleasing, but it goes down the same road—of not looking too appliance-like or intentionally different on the outside. Inside, well, it’s a different story. From the outside, the Model 3 looks like a softly sculpted fastback sedan—one that might have a hatch in back instead of the trunklid it actually has. Three other key features make the Tesla Model 3 a standout versus other compact sport sedans. First, the hoodline of the Model 3 is particularly low. Second, all Model 3s have a long glass roof overhead. Third, the door handles are flush with the sheet metal (it’s a different mechanism than the Model S but achieves the same look). Early on in the project, Tesla had targeted the BMW 3-Series. Although Tesla could have probably gone even more “cab-forward” in its design, as there’s no need to budget out the space for an engine under the hood, it wisely kept the proportions just close enough to existing models in that class. From the side, the beltline rises slightly from front to rear, and there’s an accent crease with about the same upkick at the bottom of the doors; otherwise, outside of the rear spoiler, the sheet metal is clean and softly sculpted. One of the most distinctive features in front ends up being the flush, grilless snout—a sign that there’s no big radiator for an engine (although there is a cooling intake below). The interior of the Model 3 is definitely more polarizing. Depending on your aesthetic taste and how close you’re looking, the Model 3 feels either clean and minimalist or inexplicably cheap-feeling and bare-bones for the price. From our experience—and how members of our own editorial staff, friends, and family have seen it, this is very much an interior you either love or you don’t. To dive into why, a little bit, Tesla has done away all conventional buttons and switchgear. What’s left is a large, horizontally oriented touch screen, some switchgear around the steering wheel for turn signals and gear selection, and two steering-wheel thumbwheels. The dash is bare and shelflike, with a veneer finish over the forward portion and a matte, padded surface just behind. In between those two sections is a narrow slit that controls airflow to the cabin (and includes four different vent “outlets”). Beyond the core choices that Tesla made about interface—to parse out why people are polarized about the interior, aesthetically—it comes down more to material choices. The instrument panel and cabin as a whole can feel quite austere, almost drab in some combinations—and the issues we and others have seen with build quality up close doesn’t help with that impression. If the Model 3 had plusher materials, perfect seams, and a softer ambience, more might warm up to the simplicity. The Tesla Model 3 drives like a sport sedan, not an appliance. If you’re here, and entertaining the thought of driving a Tesla Model 3, you’ve almost certainly seen some of the countless YouTube reaction videos of people experiencing Tesla acceleration as if it were an amusement-park ride. 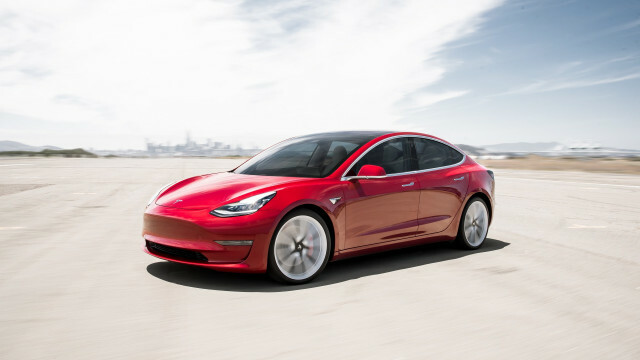 Even in its slowest form the 2019 Model 3 is quick, with a 0-60 time as quick as 3.2 seconds, with a top speed of up to 162 mph—both for the Performance model. But as those videos emphasize, what makes the performance so shocking in the Model 3 is experiencing all that torque from a standing start, with little drama, as Tesla’s traction and stability control works so well, without tire noise and wheelspin. In its slowest, most affordable form, the Model 3 Standard Range, it will get to 60 mph in 5.6 seconds and a top speed of 130. All Model 3 versions come with a permanent-magnet rear motor, while Dual Motor versions add an induction motor at the front axle. Output numbers vary a bit, though. The Long Range, rear-wheel-drive version of the Model 3, as originally introduced, makes 258 hp and 317 lb-ft of torque. Dual Motor versions make 346 hp and 389 lb-ft, while the Dual Motor Performance version moved up to 450 hp and 471 lb-ft of torque. 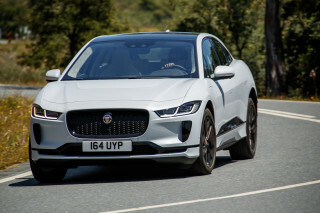 Its rear-wheel drive layout and very low center of mass lay down the fundamentals for it to drive very differently than those front-wheel-drive electric models that have about the same base price. Tesla got so many of the details right—about perfect, actually. With a great driving position, quick, well-weighted steering, well-coordinated drive systems, and a suspension that’s firm but damped well enough to keep out most major jolts, everything plays well together in the same way it does for well-established German sport sedans like the BMW 3-Series and Audi A4. 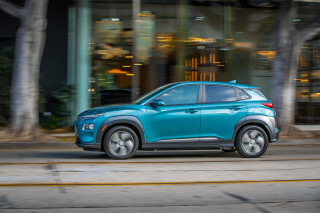 About the only thing that may take some getting used to is the regenerative braking system, which scrubs down speed as if you were stuck in a very low gear in a gasoline vehicle—and puts the motor to work as a generator to store energy back in the battery. There’s a choice between two levels of regen—and unlike in most other electric vehicles, Tesla doesn’t “blend” regeneration in with the friction brakes. If there’s anywhere the Model 3’s execution stumbles a bit it's in the fine details, but the cabin works some magic with interior space and seating comfort. The Model 3 has more interior space than its compact sport-sedan dimensions and steeply arched roofline suggests. In terms of seating space, those who created the Model 3 managed to make the most of the interior space. The front seats in the Model 3 are far more supportive and comfortable (12-way adjustable in top versions, too) than they look like they might be. They offer a range of adjustability and back and thigh support that closely rivals what you’ll find in German sport sedans its size. The back seat feels like a minor miracle in that, from the outside you might never expect there to be enough head room, and yet with a rather low (and somewhat hard) seat cushion and a headrest that makes sure your head is just behind the glass roof’s header, there’s enough space for those taller than 6 feet to sit in the back. The catch is that it’s snug, width-wise, due to the greenhouse that tapers upward and rearward—enough where three across is pushing it. The center console feels cheap, relative to luxury-brand alternatives (and some mass-market ones), and it’s full of thin, hard plastic. It’s well designed, though, with a roomy center bin and a shelf at the far front, in a covered compartment, that can hold (and charge, without cables dangling) two smartphones. Trunk space in the Model 3 is a modest 15 cubic feet, but it feels like more than that because it’s a nice, deep space. Rear seats fold forward flat to really open up the cargo space, but the key limiting factor is the narrow trunk opening. The Model 3’s ride is on the firm side but not overly jarring. Model 3 Performance models have a firmer ride, but we haven’t yet spent time with that version to know whether it’s too firm, or whether it introduces more noise. One gripe in each Model 3 we’ve been in—to varying degrees—has been the amount of road noise that enters the cabin. The din at highway speeds has actually been at its lowest in the newest Model 3 we drove—a Dual Motor Long Range. The Model 3 has one of the best climate-control systems we’ve found in an electric car so far. Once you figure out how to adjust the Model 3’s climate-control vents—by dragging them on a screen with your fingers—the system permits a level of quick adjustability you don’t have in any other vehicle. We awarded the Model 3 an extra point for its very good front seating but pulled a point each away for its generally subpar materials and fine details, and the Model 3’s higher levels of road noise. (Read more about how we rate cars.) Build quality is improving, but even based on some of the newest cars it’s still common to see inconsistent body panel gaps, flush surfaces don’t always meet right, and weatherstripping. The 2019 Tesla Model 3 will protect you well, but with difficult visibility and a completely different interface, will it protect you from yourself? The Model 3 earns top five-star results from the federal government in frontal, side, and rollover categories. It also includes automatic emergency braking and lane-departure warning as standard. Every Model 3 comes with eight airbags. Because of differences between the versions (and likely the additional weight and components introduced at the front axle), the NHTSA doesn’t carry its five-star frontal rating over to the Model 3 Dual Motor variants. Tesla also points to how there’s no engine block in its vehicles, allowing more space for crumple zones; and the Model 3’s near-50/50 weight distribution is claimed as a safety asset that improves the effectiveness of stability control. There are cameras for Autopilot throughout the car, including in the side pillars. Outward visibility from the Model 3 is a mixed bag. Looking forward, the hood sits seemingly lower than it does in all but exotic cars like McLarens and Porsches, and with quite thin front pillars you get a better view outward. The view out the rear window is also better than you might anticipate it to be from the outside. The only issue is that the arch of the roofline creates a blind spot just beside and behind the vehicle. Every Tesla is built with the same safety hardware set, but opting for Autopilot, at $3,000 allows the car to steer, accelerate and brake automatically for short periods, with the driver still officially in control. Full Self-Driving, a future set of advanced driving capabilities, costs $5,000 as an option on a new car, to be enabled some time in the future (or $7,000 to add to the vehicle later). Adaptive cruise control is only available with the Autopilot package, which also bundles in blind-spot monitors, forward-collision warnings, active lane control, and automatic headlight control. Otherwise, even top-end versions offer only conventional cruise control. Those who are considering Autopilot should be aware that it is constantly evolving based on software upgrades. At the time of writing, for instance, Tesla announced that Navigate on Autopilot and Summon would be moved into the Full Self Driving suite. Outward visibility is about our only safety-related gripe in the Model 3. We couldn’t find a way to easily bring up a side/overhead view as some vehicle have, or to quickly flip the side mirrors down to the curb while parking. One final note: Some people won’t be comfortable looking down at the touchscreen for just about everything, so make sure that doesn’t feel like a safety issue to you. The 2019 Model 3 loaded with game-changing features that can potentially get better with each software upgrade. The Tesla Model 3 includes most of the same features you’d find on a well-equipped mainstream model or a basic offering from a luxury brand. All Model 3s come with Tesla’s very advanced entry system, with custom driver profiles. The 15-inch touchscreen on all Model 3s is basically a giant, very responsive tablet with its own quick 4G connection—one that can be used to provide updates to core car systems. It includes phenomenally quick navigation and mapping abilities, with none of the lag of rival systems, and it responds to voice prompts with natural-language commands just like smartphones. There’s one big issue that will affect how some use this system: It’s not compatible with Apple CarPlay or Android Auto. The audio system has built-in streaming services, via TuneIn, that let you play radio stations, podcasts, or specific artists/channels, and the latter feature responds very well to natural voice commands. Another detail about the Model 3 that takes some getting used to is that there’s no keyfob for getting into the vehicle and there’s no ignition or power switch. You merely carry your phone with you; as you approach the vehicle the driver’s door unlocks, and as you get into the vehicle it turns fully on. Exiting the vehicle, as you walk a few paces away, the car switches off and signals that it’s locking up (depending on your menu settings). You store the RFID keycard that serves as the actual physical key away in a wallet, or at home in a drawer, and the only time you’ll need it is when you add new devices (then it functions as an admin password for the vehicle, essentially). The Model 3 is also one of the few vehicles on the market that enables full over-the-air updates, not just for the infotainment system but for core vehicle performance and safety systems. Get into the car after an update, and it might accelerate or brake differently than before, or other features like the interior lighting might react a bit differently. Look ahead five or more years, and this is likely another feature that many more vehicles will have. After several hours with the Model 3 we found glancing to the corner of the touchscreen for the speedometer and warning lights second nature, but it took us a couple of days to stop thinking that there should be a head-up display. Tesla says that you can charge the battery at a rate of 150 miles of regained range in 30 minutes (or 170 miles for the Long Range model), or via a home-charging rate of about 37 miles per hour. The new Standard Range Model 3 has a basic interior with cloth seats, base trim, and a base audio system—a combination we haven’t seen yet in person, while the Standard Range Plus upgrades to the premium seat material and the immersive-sound audio system we’ve experienced in other Model 3 sedans—not especially powerful but good for clarity and frequency response. Lots of seemingly normal details in the Model 3 have a learning curve—for instance, the exterior door handles demand that you tease them out with your fingers before pulling the door open, and inside you press a small button to release the door. Adjusting the steering wheel alone takes some fiddling with a menu and then the thumb toggles on the steering wheel. The Model 3 is one of the most efficient electric cars, and exhibits Tesla’s strengths with battery and power systems. The Tesla Model 3 is a fully electric car, which means that it has no tailpipe emissions—or rather, that it passes its share of the emissions upstream to a power plant, if you’re not using sustainable energy like solar or wind. The EPA rates the Mid-Range Model at 264 miles of range and the Long Range model at 310 miles of range. (Tesla said it recently updated software on those cars to increase range to 325 miles.) Dual Motor Long Range and Performance versions are rated at 310 miles of range. Tesla claims that recently announced Standard and Standard Plus versions of the Model 3 offer 220 and 240 miles of range, respectively, but those versions aren't yet rated by the EPA. Over a few experiences driving the Model 3 in real-world conditions, we’ve found it to mostly deliver its claimed range—although colder weather especially will result in a lower range. If you’re in a cool climate, you should note that some electric vehicles have a heat pump that claim will improve efficiency in some types of cooler weather, but the Model 3 offers only resistive heating. Looking for a different year of the Tesla Model 3?